Even the strongest managers are not mind readers. Without feedback, it's difficult to diagnose problems and start to make critical decisions that will most strategically benefit the business. 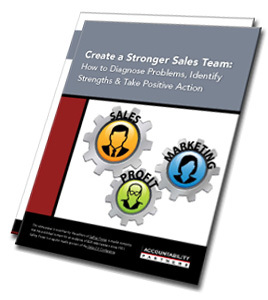 Read this white paper and learn how you can start collecting actionable feedback about your sales organization. You'll get insight about how a sales‐specific assessment can help you do the following. Accurately identify strengths and weaknesses in your organization. Pinpoint exactly where misalignment exists. Get a ground level understanding about what reps are thinking. Increase sales (even when sales are strong). Prioritize alignment challenges and take meaningful action. practices using todays ever-evolving marketing tools.